It looks like they haven’t finished machining the case. I bought one for my PO at the boutique. It was very inexpensive and made a huge difference. I still have mine. I should wear it more often. The thickness looks just fine. I have plenty of watches that thick. That goofy crown is the deal breaker. Thanks, Chris. I love how this turned out. hoppyjr wrote: Turtles, Bath Salts, & Face Eating! They’re in central Florida. Turtles and face eating are on the coast. Sounds like fun, but that’s about 170 miles from me. Have a great time. Any new colors on the way? Yes. I have a different style strap in production also. 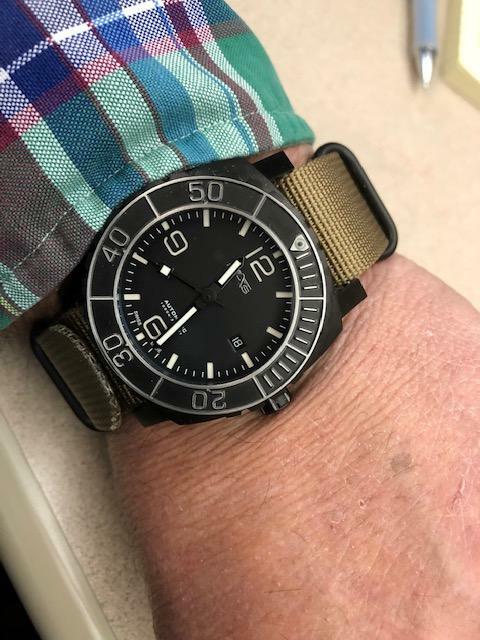 It’s a big watch. 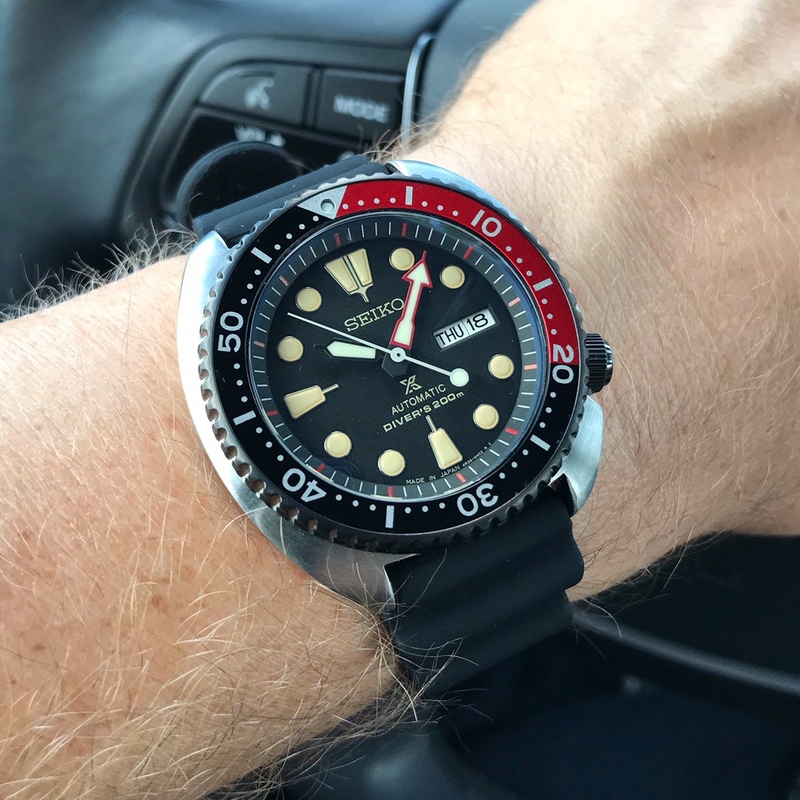 You should try a SRP773 Turdle. It’s a great looking blue dial in a more wearable size.